Hiring capable DJs isn't enough. No matter how good the DJ, no one can guarantee an awesome set, or even an acceptable one: even the best DJs have the occasional dud. But an organizer who gives attention to the external factors that affect a DJ's ability to work will get the best event they can from their talent. Following is fairly complete collection of those external factors that organizers will want to keep in mind. I had annual events particularly in mind, but most of these ideas cross over quite well with dances of any regularity. ﻿ A DJ needs a sizable, free standing, completely flat surface. If you've never organized a dance in the particular space before, ask the manager - preferably ahead of time - where your DJ can set up. You might be limited by the location of their sound system, and that spot may not be suitable to computers, which means brainstorming another solution. Note: laptops balance terribly on turntables meant for records. Also keep in mind that many DJs use external sound cards, hard drives, and/or other hardware that they may need table space for. A little extra room can go a long way towards a comfortable setup. DJs fearing for electronics are not focused on crafting the best dance. An immediately visible sign on the table along the lines of “No Liquids” is a helpful refresher that cups and computers shouldn't snuggle. Be prepared: most attendees know not to put their drink on a DJ table; it's usually event staff (organizers, volunteers, teachers, band members, other DJs) who need to be reminded. DJs can choose to invite cups or not onto their own table, but taking the initial worry off their minds benefits everyone. If it's too dark to see the letters on a black keyboard, your DJ will have a frustrating time typing. Especially with a bright screen shining in the face. And though some DJs have backlit keyboards, an organizer can't rely on that. The best solution depends on your space. A table light is effective if it's directed like a spotlight; lamps that spread light around the room won't light much for the DJ and will wreck the vibe of the room even with a shade (or shirts and towels) over the lamp. Rope lights might work, but not all of them are bright enough. Whatever you do, plan something. Too many cases of juggling a screen between lighting home keys and reading song names has made this my biggest DJ peeve. Run through setup with your DJ. Where are the volume knobs controls? Where's the audio cable to plug into the DJ's computer? Which buttons and sliders should never be touched? That's one's especially important when your DJ is sharing the board with a band. If applicable, how does a DJ turn on or off the speakers/mixer? Bonus: Is the system stereo or mono? Because Laptops need nearby power outlets. Distance: If there isn't an outlet closer than 2/3 the length of an average power cable, you'll need an extension cord or power strip. This is another reason to know the venue's music layout ahead of time. Number of Outlets: After sound systems, band equipment, and everything else have been plugged in there should be at least 1 but preferably 2 outlets left for your DJs; sometimes they need a second outlet for an external hard drive or other hardware. 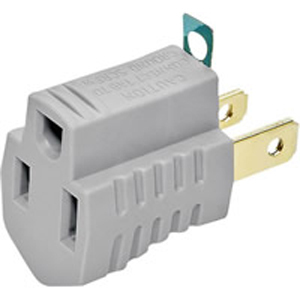 2.5) To be a really badass organizer, check whether your outlets have 2 holes or 3. If they have two holes, grab one of these from the hardware store. For $.80, DJs with three-pronged power cords (which is most) will actually be able to use the outlet. Added bonus: these can also solve grounding-related speaker buzz problems. Sometimes it's impossible to provide your DJs with power, especially at outdoor dances. In that case, send an email to all of the DJs a minimum of 5 days in advance to let them know which time slots won't have power and for how long. Why message all of the DJs? So that if you need to switch around slots during the weekend for any reason, all the DJs will already know whether their batteries can handle it, and to come to that slot charged up. And you won't have to explain it four times. It's not in our culture for DJs to carry an assortment of cables with them, so you'll want to provide them. This is absolutely an organizer responsibility, especially when you consider who's got the bigger problem if the night's dance is canceled for lack of music. Luckily 99.9% of DJs use laptops, so you can feel confident that if you give the DJ a cable with an 1/8 inch end (the typical headphone cord), they'll know what to do with it. 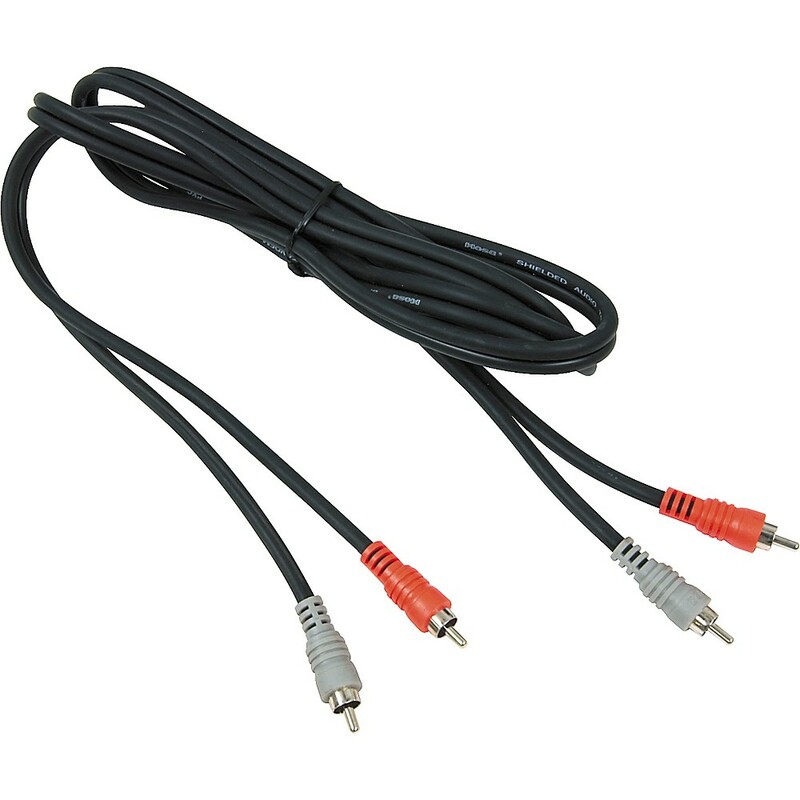 If your system only takes RCA cables, I recommend grabbing one of these cables for your DJ; with an RCA on one side and 1/8 inch on the other, it should fit your system and your DJ's laptop. And if you don't have a cable at all and absolutely need your DJ(s) to bring their own, contact the DJ(s) – in writing – well in advance. And then go out and invest in a cable and keep it with the sound system or cash box. Otherwise someone's gonna forget sooner or later and then you're dancing accapella. Getting stranded any time is disheartening, but it's especially unsettling between 12am and 6am. Even more so in an unfamiliar city. Even even more so if public transit isn't running or your dance isn't metro accessible. Even even even more so if your DJ is from another country and doesn't have a working phone, GPS, internet connection, or local currency. You can probably imagine the stress and panic of the DJ who makes all these realizations as they're wrapping their set. Now what? Call and wake an organizer? Pay for a taxi? It is the DJ Coordinator's job to email everyone before the event and confirm that the DJs can get to and from their shifts. The DJ Coordinator may have to work with the Volunteer Coordinator or other organizer, but when something goes wrong the DJs won't be searching through the chain of command: their point of contact is the DJ Coordinator. A problem getting to/from one set can either delay a DJ's ability to work or negatively affect their future sets for the event. Your DJ deserves a fair slot. I very highly recommend scheduling DJs for slots no less than an hour. If you absolutely have to, 45 minutes is barely acceptable. If there aren't enough slots to give DJs longer sets, hire fewer DJs. A DJ can play 30 minutes worth of songs, but it's not enough time to connect with the dancers, build them up, surprise them, and create the arcs of dance music that make songs feel more special than a series of prerecorded music. Playing band breaks is an exception: the length of time depends entirely on the band/organizer, and I consider the full series of band breaks one fair slot. The last shift of one dance and the first shift of the next one when there is a venue change. Before the event, email is the preferred medium: everything's in writing and easily researchable. During the event, you'll want everyone to have phone numbers, so that if your DJs are stuck in traffic, they have a way to let you know immediately. Give your DJs general stylistic parameters. Good DJs have more than one mode: they could bring the party, play true-to-genre, create specialized sets, or anything in between. But until you tell them what you want, they're taking a best guess. It's up to the DJ Coordinator to communicate in advance the musical goals for the weekend: the things you're looking for as well as the things to avoid. Didn't want all of your swing event's Sunday late night to become a soul party? Should have defined that better ahead of time. But one very important caveat: micro-managing your DJs will do more harm than good. You want to give enough information that they understand the bounds of their sets, but no so much that it feels like you're trying to ghost-DJ over their shoulders. Note: Special thanks to Mike the Girl for this point. Her blog is here. A safe place for a bag of expensive equipment is invaluable. This is especially true for dances at bars, or when the DJ table is near the front door. DJs have no choice but to bring their expensive gear to a dance. Those who feel confident that their livelihood won't suddenly disappear can enjoy the dance and stay fresh for their own set. Dances are generally safe and trustworthy spaces, but no one wants to replace a laptop or music library that has no current backup. This one's just icing on the cake, badass organizer. It's very difficult to know the true volume level from behind the speakers; The DJ might hear perfect dance-and-chat levels while to everyone else it sounds like permanent hearing damage. Similarly, sticking a DJ directly in front of the speaker offers very little motivation to raise the volume loud enough. No one should permanently blow out the ears they need for future DJing for the sake of one set. While other factors will frequently decide DJ placement (cord length, sound system setup, etc), a DJ who doesn't need to run around the floor checking levels every song is free to focus on more important matters. Such as DJing. Aaaand that's everything! If you've made it to the end of this, I want to thank you. Why? Because your DJs are going to have an even better time at your event (and I might be one of them). And in return, you're going to get the best performance you can out of them. And ultimately, all of this leads to a better quality event which immediately benefits your attendees and improves our community in the long run. Special thanks to Mike the Girl, Katie Lin, Breanna Perry, and Tim O'Neil, for their selfless dedication and revisions to make this post possible.